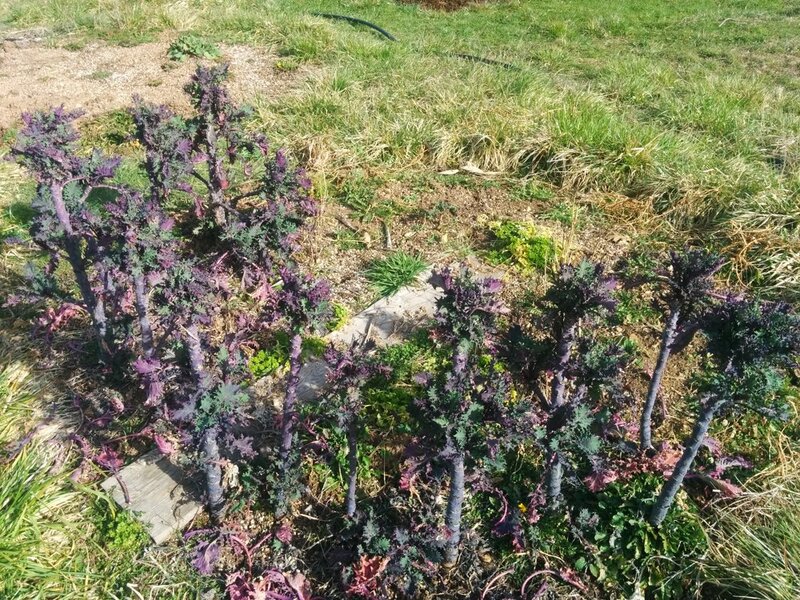 Garden Update - First Week of Spring! This really does feel like spring here because the weather has suddenly warmed up a bit and a lot of growth is starting to happen. The garden is calling me. It seems that there is so much new things happening every day that there is no way I could cover it all in one post. But the joy in the garden is invigorating and inspires me to want to share. Its the intention that counts, right? 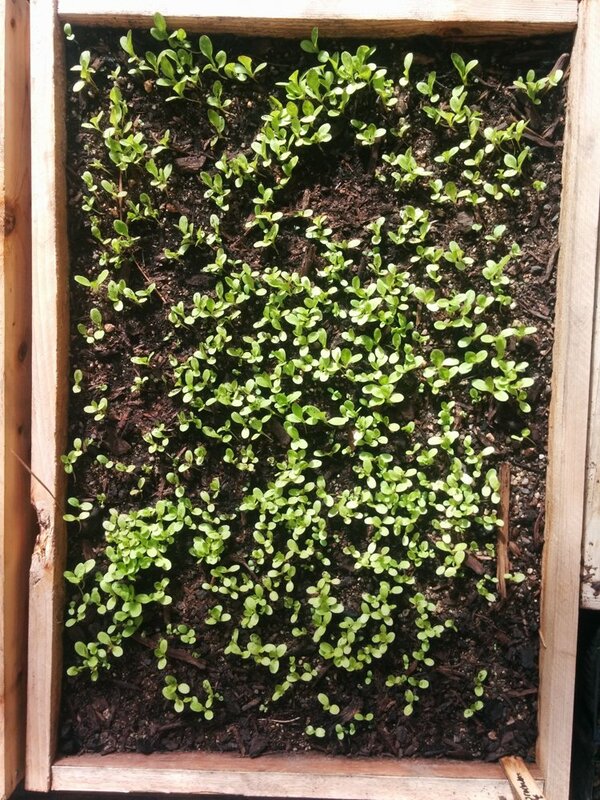 The lettuce seed that I broadcast in this flat are coming up strong and showing 2nd and 3rd sets of leaves!! I just set this flat outside where it won't get full sun to harden off for a few days before transplanting. 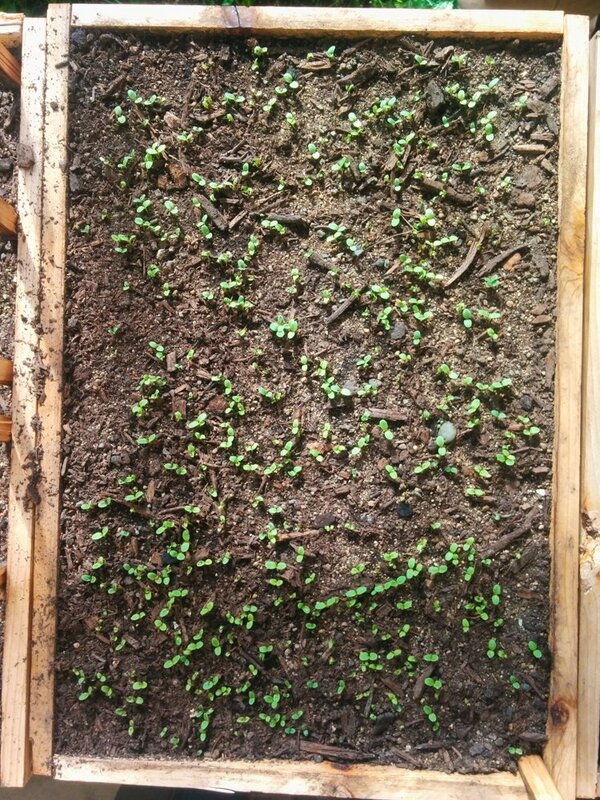 I seeded this flat of lettuce just as the lettuce in the first sowing were starting to peak out of the soil!! 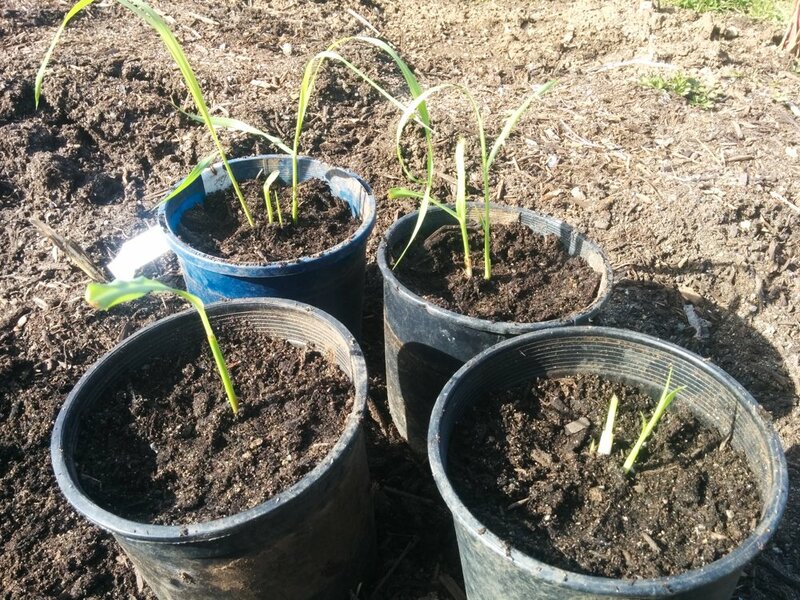 They will be a second wave of transplanting shortly after the first flat is transplanted. 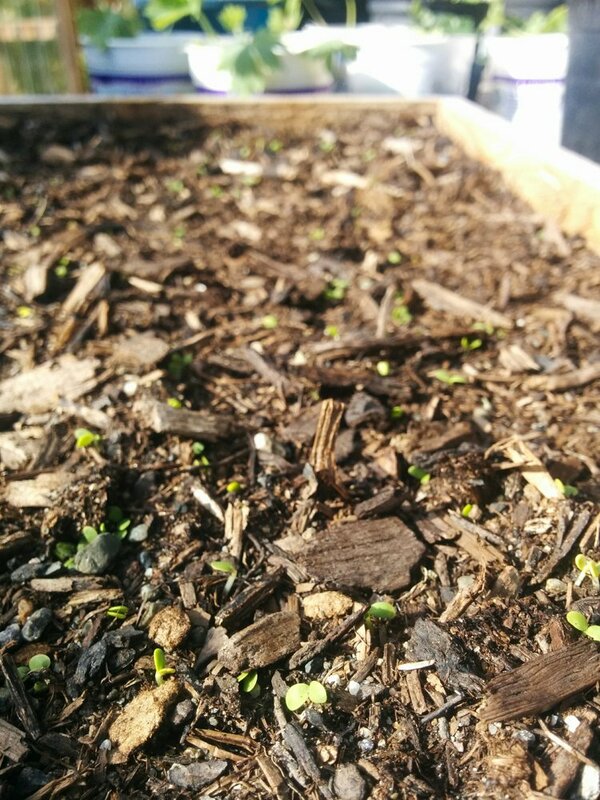 I also direct sowed some lettuce seed a little less than a week ago. In case you're wondering why the heck would I be starting SOO much lettuce?? It is because I took on a seed contract with a local seed company and they are buying lettuce seed from me by the ounce. Lettuce is one of their top selling categories of seed so I am growing as much as I can in our garden setting. 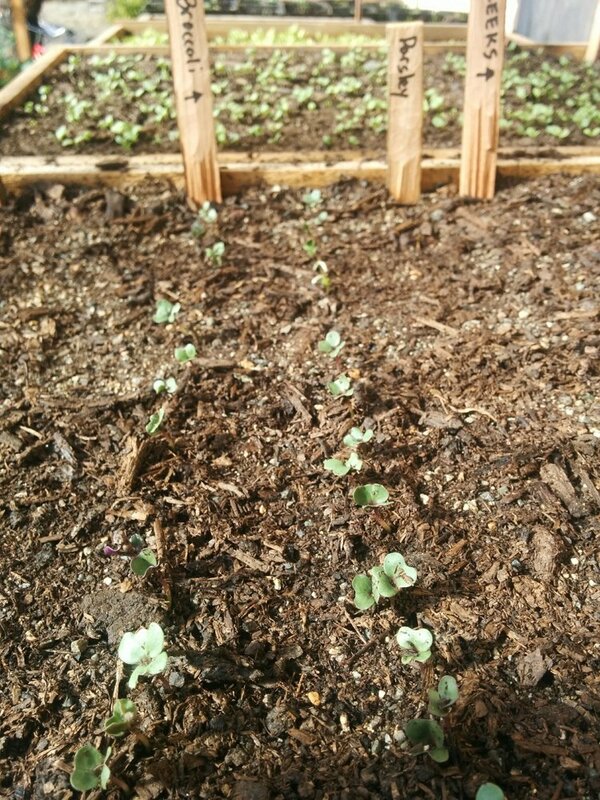 Nearby one of our broccolis are showing their first set of leaves! Outside is a flat of Astragalus that is starting to pop up! This is another seed contract. It does best with a few weeks of cold stratification. I had sowed it just over a month ago and it sat out in the snow and rain. 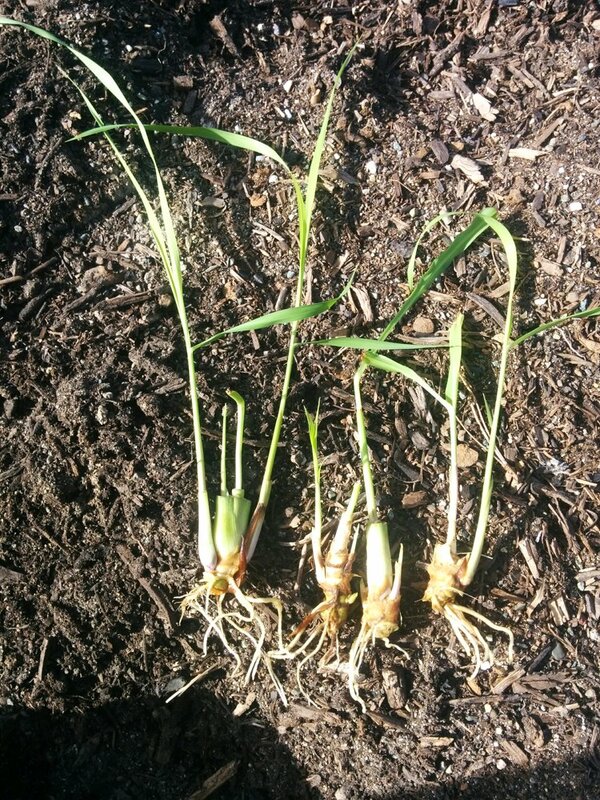 Apparently this early spring warmth is all it needed to signal that it is time to sprout! When they get a little larger I will transplant them. 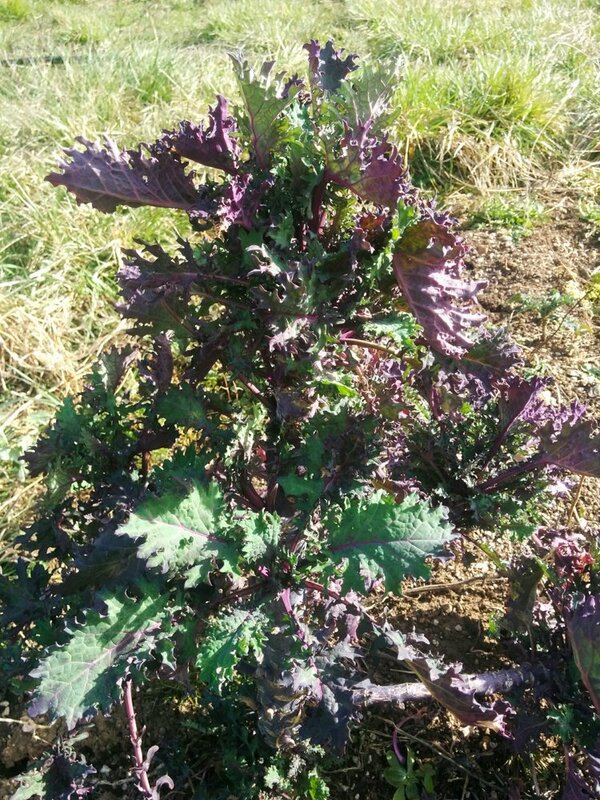 The Russian kale that I direct sowed in this bed last spring overwintered very nicely. They are showing the first signs of new growth and are promising to soon spurt into lots of new leaves! I will take some time in the near future to prune off many of the extra branches so that the leaves don't crowd too much... that will be several meals already! Well, apparently we like to eat lemongrass in our fish and curries and other dishes because I ended up starting more lemongrass from the bottom pieces!! They got potted up and went into the greenhouse.